Disney has just released a brand new trailer for the highly anticipated live-action remake of Aladdin! That’s right, our wish has finally been granted. 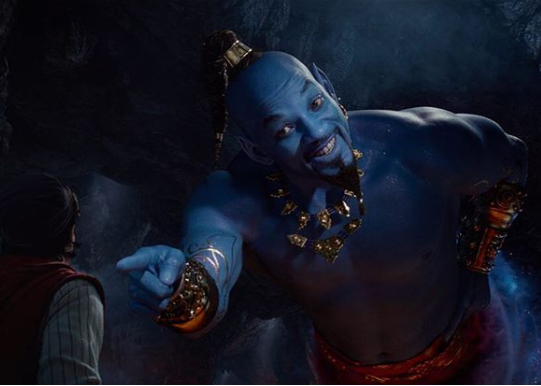 I know I’m not the only one that has been wondering how Will Smith will look like in the film as Genie. Well, the wait is over! The new trailer give us a sneak peek into the new film, showcasing Mena Massoud and Naomi Scott as Aladdin and Jasmine. Smith took it to Instagram to share a quick look at his character, take a look below! Check out the newly released trailer for Aladdin! Will you be heading to the theaters to witness the live-action remake of Aladdin? Let us know in the comments below!